'Planted by Dr. and Mrs J. Sawford Greenwood, c1875. 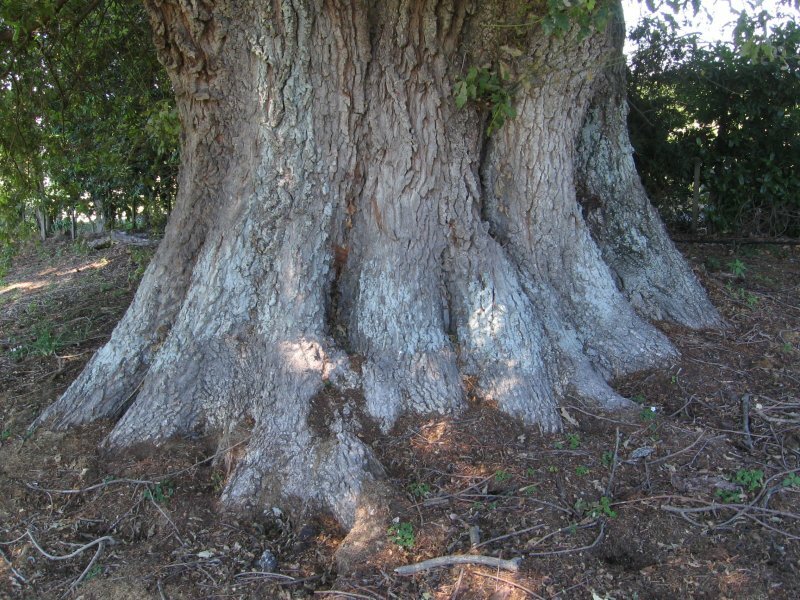 The largest English oak recorded in the South Island and one of the tallest in New Zealand. It is said to have been raised from an acorn collected by Mrs Greenwood from the Barnicoat oaks at Ashfield, lower Queen Street, Richmond'. NZFRI Forest Mensuration Report, No. 21 Feb. 1974. Burstall S.W. Greater clarification on the year of planting is provided in a letter dated August 21st 1943 from Miss E. Theodora Greenwood. 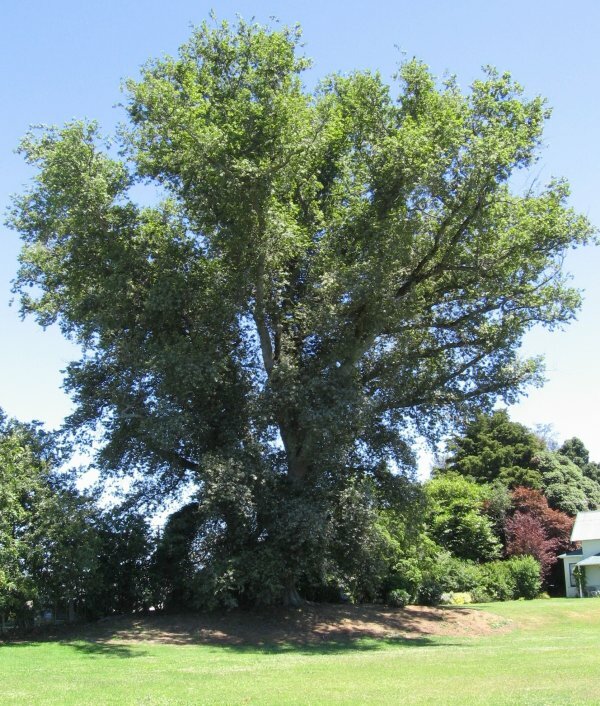 'The oak tree was grown from an acorn my mother brought back in her pocket from Mr. Barnicoat's oak field in Richmond, the first time she rode over to Nelson after her marriage in 1864' This letter was addressed to the, then, owner of the property Mr. Edgar S. Wratt. Copy of letter supplied by Mr. Martin Whittaker, current owner. Powdery mildew is bad this year (2017) but the tree continues to maintain good health. 10 Dec 2017 Cadwallader, B.G. 11 Dec 2009 Cadwallader B.G. 18 Mar 1969 Leigh, D.H.
To the north of the old villa. Permission is required to view the tree.